Hard-luck stories can have happy endings. Especially in Francine Honey's world. The bilingual Ontario singer-songwriter's third album "To Be Continued…" (Oct 12, 2018) features tales of heartache and struggle, loss and crisis— many drawn from her own life and delivered with a mix of Americana, Country, Rock, Canadiana and Blues. Along the way, the down-to-earth recording artist also shares two fundamental lessons: You are not alone, and hope is always around the corner. Little did Francine know she'd ever be a professional songwriter. Although she's made music since childhood — "I wrote my first song in 1976" — Honey never dreamed of making it a career. However, along the way, the down-to-earth artist has displayed extraordinary dedication to her craft. 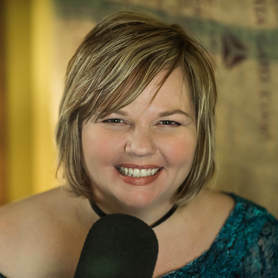 Francine’s debut self-produced album An Ordinary Person came out in 2008 and was followed in 2014 by Re-Drawn, produced by Lang Bliss in Nashville. The latter includes the song “I Soldier On” and its French partner “Je Vis Sans Limites”, which support the Soldier On fund in Canada. In 2015, she also re-recorded many of her early songs for the EP An Ordinary Woman (In Studio). ​This Lady in networking knows... how to bring people together through music!